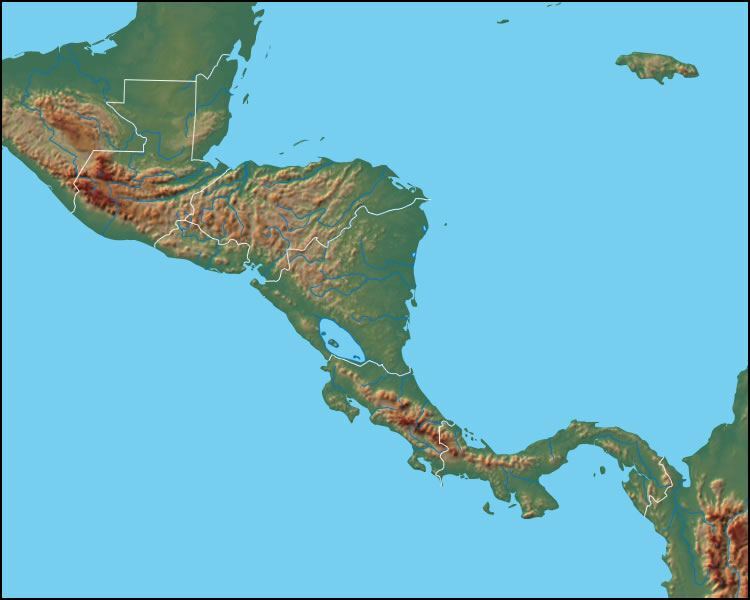 The map above reveals the physical landscape of Central America. Important mountainous areas are the Sierra Madre in Guatemala and Mexico, the Mapa Mountains in Belize and Guatemala, the Montanas de Comapagua of Honduras, the Cordillera Isabelia of Nicaragua, the Cordillera Talamanca of Costa Rica and Panama and the Cordillera Central in Panama. Important bodies of water include: Logo de Nicaragua, Gulfo de Fonseca, Golfo de Nicoya and Gulfo de Panama.